GED Blog » Improving Public Understanding of Economic Globalisation » Should the EU Intervene? 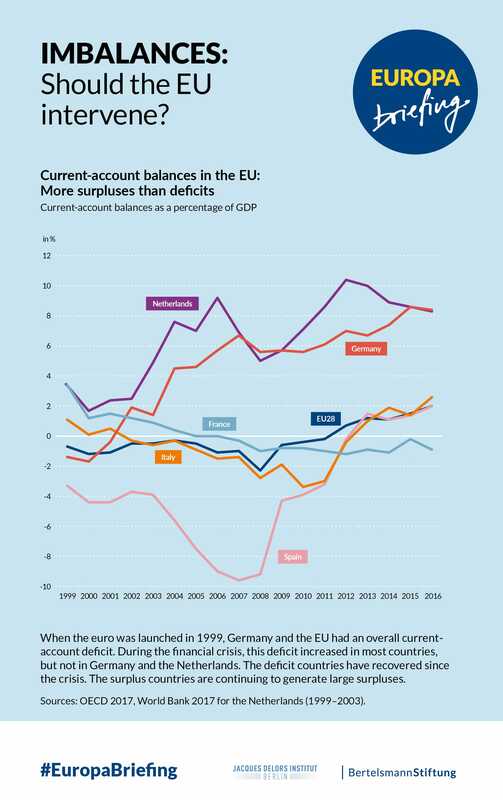 Imbalances are a recurring problem in the EU. Especially differences in trade balances dominate the debate. Germany, for instance, has been generating very high surpluses for years and meets serious criticism for this reason. This briefing examines whether imbalances pose a threat to the EU and what role the euro plays in this. Economic imbalances keep recurring in the EU. Differences in trade balances dominate the debate. Germany has been generating very high surpluses for years and meets criticism for this reason. Are imbalances a threat to the EU, and what role does the euro play in this? Should politicians adjust differences in the balance of trade? And if so, is that up to national governments or the EU?